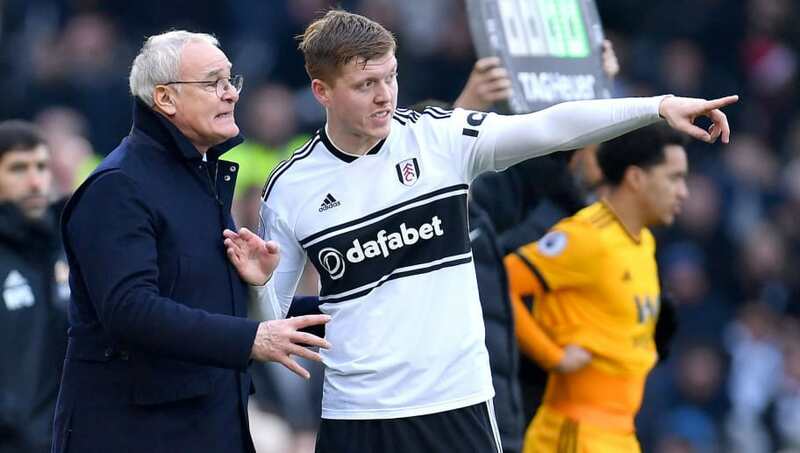 Fulham defender Alfie Mawson will be unavailable to Claudio Ranieri this weekend after the former Swansea City star injured himself while changing boots. Despite this, Mawson remains one of Fulham's best defenders, but the England international will have to watch on from the sidelines this weekend after injuring himself while putting on a pair of football boots. "It was a very strange injury. He just changed his boots. It was unbelievable," Ranieri said, quoted by the BBC. "He needs more time. How long? I don't know." Ranieri also explained that outcast striker Aboubakar Kamara has been left out of the squad altogether for the second time in a row despite his recent goal against Arsenal in the Premier League. That is because of a reported training group bust-up between Kamara and Aleksandar Mitrović which appeared to stem from the pair's confrontation over penalty duties during Fulham's narrow 1-0 win against Huddersfield Town, although Ranieri played down that being the cause. "It wasn't a battle, it was a chat and something that happens in every team, nothing more," he added over the reported bust-up. "I don't think it was about the penalty. Kamara is not in the squad. I will do the best for the team." Fulham know that they will have to play out of their skin to get anything from Tottenham on Sunday, but if results go their way over the next few weeks then they could be outside of the relegation zone by the time they face Manchester United on 9th February.